Whenever I restore a camera, I wonder about its history- who owned it, where it traveled, the parties it attended, the photographs it made of birthdays and christenings of children who are now old men and women. Occasionally, a camera leads me on a strange and wonderful journey through photographic history. Recently, I sent a photo to the local paper, and two weeks later, a reporter was photographing me at my kitchen table as I explained how to focus a 1928 Kodak. The day after the article appeared a reader named Nell Wright called and invited me to see her antique camera. Nell turned out to be a pleasant lady in her 70s, who explained that the camera had belonged to her late husband, an avid photographer. It was dusty and dangled a broken strut, but it was beautifully made and of a unique design. Most importantly, it was small, folding up into a wallet-sized package that fit into the palm of my hand- not much larger than many of today’s digital point-and-shoots. A brass plate proclaimed “Kamerawerkstatten Dresden” with the Logo “KW”. Puzzled and fascinated, I offered to restore it for Nell, as it clearly held special memories. I did not realize that my detective work would lead me from the elegance of turn of the century Dresden to a prison cell in Siberia. I began looking up the KW’s history, and was soon losing sleep as its story unfolded. In the 1900s, Dresden was known for chocolate, china, and fine optics. By the early part of the twentieth century, Dresden had become the photo-optical capital of eastern Germany, with a multiplicity of companies producing photographic and optical equipment. In 1919, two Dresdenites, Paul Guthe and Benno Thorsch, teamed up to build a camera factory in the suburb of Niedersedlitz. They named their company Kamera Werkstätten Guthe & Thorsch and chose the logo KW. 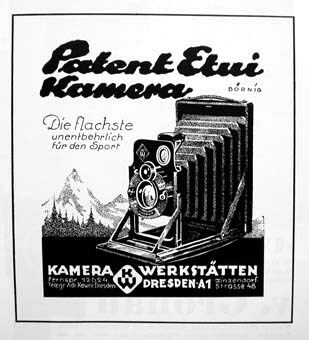 The Patent Etui, their first camera (‘Etui is German for “small box or case”), turned out to be a great commercial success, with an extremely compact and innovative folding design that is unique even by today’s standards. KW and its successor companies carried on this tradition of innovation for many years, and were to be responsible for the design and production of some of the most popular and influential cameras of the twentieth century. By 1928, the company needed more space and moved to Baerensteiner Strasse 30 in Dresden Striesen, near the Ica-Werk of the Zeiss Ikon optical company. In the new factory, 150 workers produced more than 100 cameras per day. The Patent Etui was followed in 1931 by one of the earliest small reflex cameras, the twin lens folding “Pilot”, which produced a 3x4cm image, followed by the “KW-Reflexbox” 6x9cm and the single lens “Pilot 6”. In the late thirties, the “Pilot Super” was introduced. An enlarger, the “Praxidos”, was introduced at the Leipzig Fair in 1933. Guthe and Thorsch’s ownership of the company ended with World War II. Being Jewish, both partners were alarmed by the persecution of Jews as the Nazi regime gained power in the 1930s, and both fled the country before the outbreak of World War II. 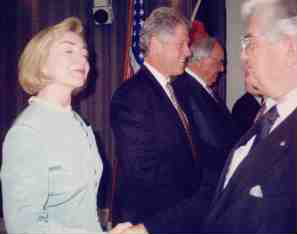 Paul Guthe emigrated to Switzerland in 1937, and Benno Thorsch went to the United States in 1938, where he was to connect with the American businessman Charles A. Noble. Charles Noble, originally born in Germany, came to the US as a Seventh Day Adventist missionary in 1922. Soon after his arrival, his son, John Helmuth Noble, was born in Detroit in 1923. Disturbed by contradictions in its teachings, Charles eventually left the church. His wife, a photographer, worked in a failing photo-finishing company in Detroit. When the owners abandoned the factory, the bank asked Charles to take over the company, whose sole employee at that time was his wife. The Nobles eventually grew the business to become one of the top ten photo finishing companies in the United States. However, Charles developed liver and gall bladder problems, and was ordered to avoid chemicals for two years. He visited health spas in the US, Czechoslovakia and Germany. On one of these trips, he made the acquaintance of Benno Thorsch, who offered to trade his camera factory for the Nobles’ company. Noble and Thorsch negotiated a mutually advantageous arrangement in which Benno Thorsch purchased Noble’s photofinishing company in Detroit, while Noble bought KW. However, the transfer occurred under a cloud, as the news of Hitler’s invasion of Czechoslovakia was flashing over Times Square as the Noble family arrived to take the boat to Germany. Benno Thorsch’s anxiety was so great that the Noble family decided to hold to their agreement despite considerable misgivings. Soon after Charles Noble took over KW, John joined him in managing the company. Recognizing that 35mm represented the future of camera design, Charles hired Alois Hoheisel to design the first 35mm single lens reflex camera, the Praktiflex. KW launched the new camera at the Leipzig fair in 1939. In order to handle increased production, KW moved to the building of a former candy factory at Bismarckstrasse 56 in Niedersedlitz and christened the new facility Kamera-Werkstaetten Charles A. Noble. The Nobles attempted to escape from Germany at the outbreak of World War II, receiving permission from the Nazi government to leave with a large group of other refugees. However, on arriving at the train station, they were inexplicably detained and returned to Dresden, where they were restricted to the city. 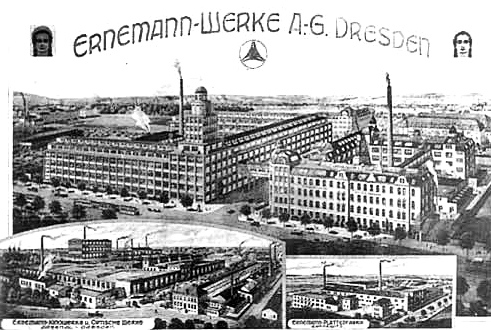 They spent the remainder of the war in Dresden and continued to operate the factory. 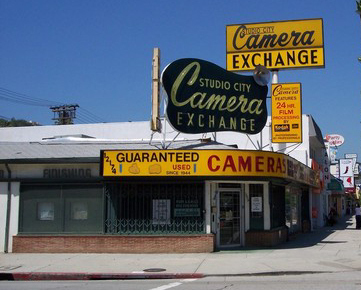 Hollywood region, Thorsch and his family founded the Studio City Camera Exchange. This shop was run by the Thorsch family (most recently by Benno’s son, Bernie Thorsch, and his grandson, Ronald Thorsch) for 62 years until it closed in 2006. Benno lived in a retirement home in Laguna Woods, California, reaching the age of 105 before passing away on Sept 2, 2003. Bernie celebrated his 90th birthday on April 27, 2010 (Oscar Fricke, personal communication). Unlike the Thorsch family, little is known of Paul Guthe’s life during and after World War II. Like all other companies in Germany, KW was forced to produce more and more military items. From 1939 until the end of World War II in 1945, KW produced 11,000 Praktiflex cameras despite severe shortages of raw materials. 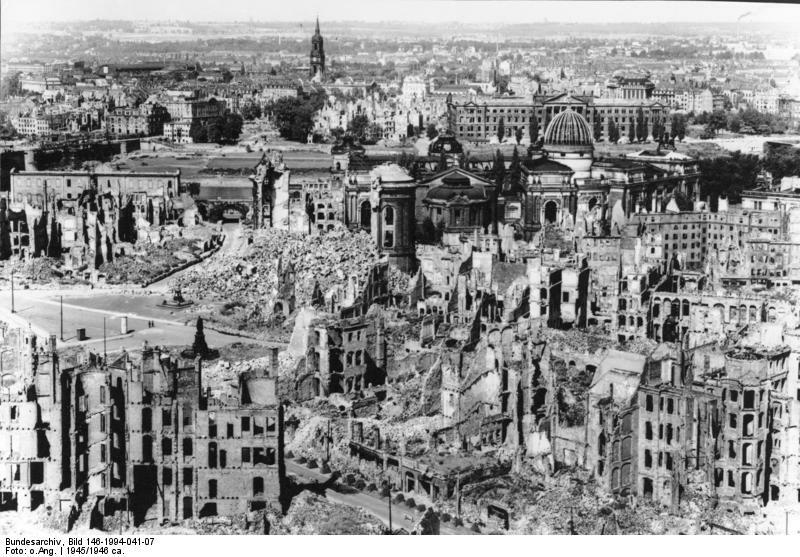 On the night of February 14, Dresden was immersed in a firestorm of bombs dropped by Allied forces. During this night, 1299 bombers dropped 3,900 tons of bombs on the central area of the city. Allied post-strike reports estimated that the old part of the city was largely wiped out, the majority of buildings in the inner suburbs were gutted, and virtually all major civic structures were destroyed. Thousands were killed and 30,000 wounded. Approximately 80% of the factories of the camera industry were destroyed. Fortunately, KW was spared and emerged from the night undamaged. From the end of the war in 1945 onward, the Kamera-Werkstaetten Charles A. Noble Company was occupied in developing quality cameras. Charles and John Noble were busy staying alive. Situated in the Eastern half of Germany, Dresden was to fall behind the Iron Curtain. The factory was confiscated by the administration of the Russian zone in 1945 and renamed VEB Kamera-Werkstaetten Niedersedlitz. VEB, “Volkseigener Betrieb”, translates as “Peoples Own Enterprise”. The administration set a production quota of 25.000 Praktiflex cameras. Since Jena was at the time occupied by American forces, it was only with considerable difficulty that Charles and John Noble were able to travel there to negotiate with Carl Zeiss for the manufacture of the necessary lenses. 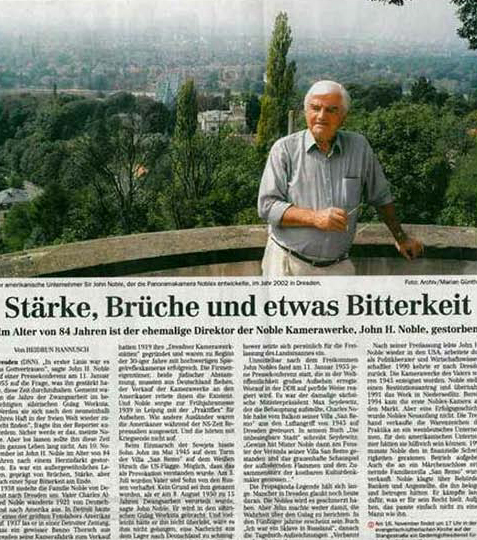 On returning to Dresden, they were arrested, charged with spying, and imprisoned. John Noble was 22 years old at the time. 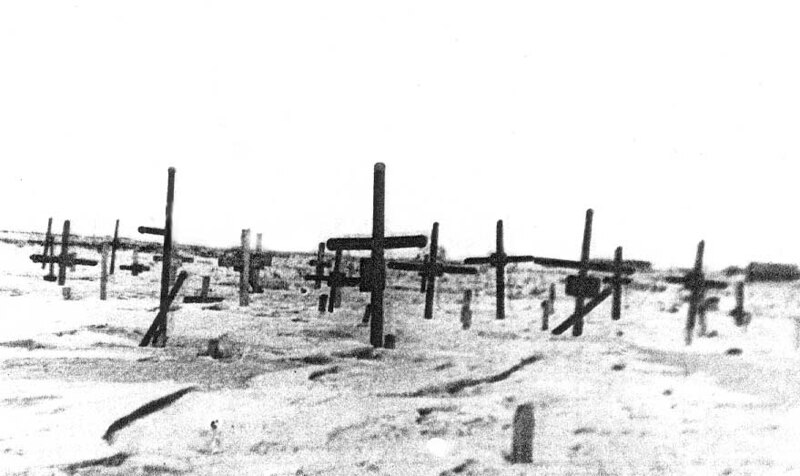 Conditions were abysmal, and starvation and executions were common. It was during his struggle to survive starvation that John developed the deep religious faith that was to sustain him and shape the rest of his life. Charles and John were kept in nearby cells until John was sent to the Soviet Special Prison, formerly the Nazi concentration camp of Buchenwald, and the two were separated. Fortunately, John’s mother and brother had been released by the Soviets after their arrest. One account later claimed that a local commissar wanted the family’s factory reserve of Praktica cameras. According to this story, the commissar did not pay off his superiors adequately and later became a fellow prisoner. 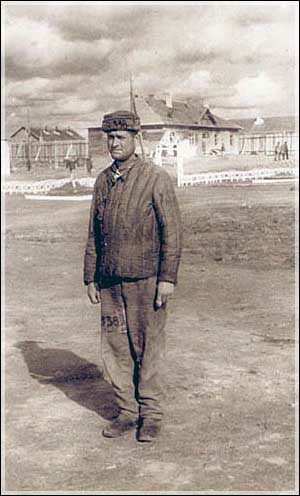 In early 1950, John Noble was sentenced to 15 years imprisonment and transferred to the Soviet Gulag system of Siberian prison camps when the Special Prison was closed. After passing through a number of prisons, he was sent to the coal mining complex of Vorkuta, situated at the northernmost terminus of the railway through the Ural Mountains and one of the coldest places in Russia. Vorkuta, a vast complex with 40 pitheads, was at that time home to 105,000 political prisoners, most mining coal in the permanently frozen ground. For many years, John mined coal and performed menial labor under primitive conditions, often weighing less than 100 pounds. Prisoners held prayer meetings in the pits, and John’s faith allowed him to keep from giving up hope. 1952 was marked by two significant events. Charles was freed from prison, and KW launched its next commercial success, the Praktina, the world’s first true 35mm camera system. The Praktina, a professional 35mm single lens reflex camera with bayonet mounted, interchangeable lenses, also featured interchangeable viewfinders, a motor drive and a 17 meter film magazine. At this point, KW was renamed VEB Kamera-Werkstatten Niedersedlitz. By 1953, the company had more than 1,000 employees and was renamed VEB Kamera-Werk Niedersedlitz. In sharp contrast to the success of his company, John Noble was struggling to survive in the gulag and had essentially disappeared by this time, with his family’s many inquiries proving fruitless. In July of 1953, he took part in an uprising sparked by Stalin’s death in which Vorkuta and neighboring camps were taken over by the prisoners. According to Noble’s account, at the time of the rebellion, 400 ex-military prisoners staged an escape, trekking hundreds of miles westward toward Finland before being overtaken and executed. The uprising was crushed in August 1953. The same year, the Praktica FX2 was introduced in Germany. In 1956, VEB Kamera-Werkstatten Niedersedlitz launched the Praktisix 6x6cm single lens reflex camera at the Photokina in Cologne. In the mid-fifties it was merged with the East German part of the photo-optical company Zeiss Ikon to become VEB Kamera-und Kinowerke, and took over the production of the Contax F, a development of the Contax S. Contax was likewise one of the landmark cameras of the twentieth century. In 1964, VEB Kamera-und Kinowerke became VEB Pentacon, and continued production of Praktica models. 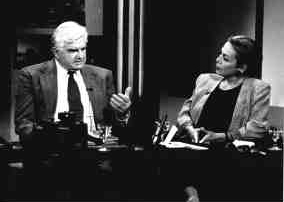 On returning to the United States, John Noble worked as a policy consultant. Much of his efforts went into writing and lecturing. the French Sovereign Order of St. John of Jerusalem – Knights of Malta, for his efforts in locating and obtaining freedom for Americans and other nationals held in captivity in concentrations camps in several countries. Charles Noble died in 1983 after many years as an advisor to the photography department of General Motors. After the reunification of Germany in 1990, John Noble attempted to recover the factory and his father’s camera brand. He was successful in regaining the old factory in the Bismarckstrasse, now called Kamera Werk Dresden, and began production of Noblex panoramic cameras. The Praktica brand, which stayed in the hands of Pentacon, was used for the last Praktica single lens reflex cameras until 2000. By 1997, John Noble had encountered severe financial difficulties, and was forced to sell the family estate, Villa San Remo. The company teetered on the edge of bankruptcy for some time, and was finally sold to its employees. In 2004, Noble published Banished and Denied about his experiences. On November 10, 2007, he died of a heart attack in Dresden. He is survived by his ex-wife, Ruth Hedstrom Noble, a companion, Katherin Forster of Dresden, five children from his marriage, a brother, and nine grandchildren. The factory, which still exists at the same address, continues to produce Noblex panoramic cameras. The camera is named in memory of Charles A. Noble. Nell Wright called me one day after I finished my research on the Etui and asked me if I could sell it for her, as she was moving and none in her family wanted it. I took it with me to Denver when we went to see visit our family in the spring, and largely forgot about it in my camera bag. One day, my wife, who is an avid knitter, found Strings, a very nice knitting shop in Highland Ranch south of Denver. One morning, I dropped her off for a morning of knitting with the other ladies. She introduced me to one fellow knitter whom she had met the day before, Anya York, a senator in the Australian government, who lives half the year in Denver. Anya is an underwater photographer who has a contract with National Geographic and has a large, production-grade darkroom in Sydney. She is also contracted with the Australian government to do underwater forensic photography. We exchanged camera and money, and the Patent Etui was on its way to Australia. Anya planned to have a new ground glass screen made for it, and intends to use in her work. I have a feeling that this little camera’s adventures are only beginning. Recent articles on KW have appeared in Wiki Articles under the title “Patent Etui” and in Wikepedia under the title “KW“. The Patent Etui article has some nice images of colored versions of the Patent Etui, as well as some copies of Japanese advertisements for this camera. This paticular Etui, in traditional black leather, was fitted with the budget triplet in the three speed Vario shutter. “1953: The Gulag Uprising at Vorkuta.” Libcom.org extract from News and Letters. http://libcom.org/library/1953-gulag-uprising-vorkuta. “John Noble.” Telegraph.com.uk Article Noiv. 16, 2007. http://www.telegraph.co.uk/news/obituaries/1569500/John-Noble.html. “Foreign News: Vorkuta (Release of John H. Noble).” Time Magazine, June 24, 1955. http://www.time.com/time/magazine/article/0,9171,861142,00.html. Michaels, Dan. “The Gulag: Russia’s Penal Colonies Revisited.” Institue for Historical Review On Line Posting. http://www.ihr.org/jhr/v21/v21n1p39_michaels.html. Obituary, John H. Noble. 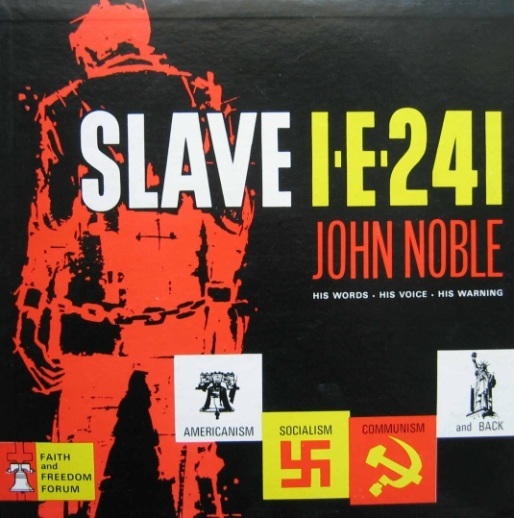 http://www.john-noble.de/index_2.php?sprache=englisch. Reiss, klaus-Eckard. “The History of KW.” http://www.kl-riess.dk/kw.html. ‘Vorkuta Uprising.” Wikipedia Article. http://en.wikipedia.org/wiki/Vorkuta_uprising. This entry was posted in Photographic History by randcollins. Bookmark the permalink. We have a Kamera Werkstatten D.R.F. D.R.G.M. Deresden- A21. Could you please tell us how old this caremra would be. Can you send me a picture at randcollins6@yahoo.com? Thank you for this fantastic post. I am a big fan of these old german cameras. I new some of the history and this was very entertaining to read. This is really a great weblog posting and really useful. I really appreciate the study you put into it. Thank you for the nice comment. Writing the blog is a pleasure; I learn as much as I teach. What an interesting and very well written story. I have fond memories of my aunt’s husband looking down into his camera to frame the shot and then running to stand beside us. Thanks for this terrific atticle. Years ago I bought at Photokina a singlelens reflex called “Great Wall” at a Chinese “stand”, existing of 1 table in a corridor. The camera is intended to make 4,5×6 and 6×6 cm frames. It has an interchangeable screwmount lens and it looks very very much like a Pilot Six. After my father died we immigrated to America and brought along most all his cameras. It makes me very sad that my mother sold these, some were very old and famous. Thank you for the link and generous comments. The story of the Noble family, KW, and the Patent Etui is a fascinating one. I was very fortunate to be contacted last year by a member of Benno Thorsch’s family, who filled in some of the family history. Benno’s Studio City Camera Exchange closed in 2006. Nothing is known of Paul Guthe’s life after KW was sold to Charles Noble, and I would be grateful to anyone who could fill in details. Hello, and it’s a pleasure to hear from you! Yes, the KW/Noble story is full of high drama–and living just 1/2 hour west of Detroit I had no idea about the local connection. Praktica was an SLR brand I certainly grew up around so that was great to learn. Your article was extremely thorough, and I very much appreciated the work you put into it. Coincidentally a good friend of mine had taken photos of Studio City Camera Exchange on a visit there, simply for its unusual vintage signs. Seeing your article immediately snapped them back into my memory, so that was another connection. I hope some random visitor emerges with information about Paul Guthe for you. At least his early exit to Switzerland is a more hopeful aspect than the stories of many others. My name is LauraBarajas and Benno Thorsch is my Great Grandfather. Bernward is my Great-uncle Bernie. I was so intreged with the information in your article. Growing up with my great grandfather not much was discussed about his life in Germany. We knew bits and pieces of the story but never did I imagine that the story was much more grand. Please email me, I would be so very interested in learning as much as a can about my great grandfathers life in germany. I’m also trying to track our family tree in which i have been running into dead ends. Hi, thank you for this great history piece. I love the KW Praktiflex FX and have been using it extensively for the last several years. I love it for the ability to use it in waist level finder mode, or with the accessory pentaprism at eye level (a very quick change). The camera is small and unobtrusive and excellent for quick people portraits (especially children). There are many cheap but superb M42 lenses available. What else could a photographer want? Anyway, thank you for this great article. Thank you! That make the work worthwhile. And it’s not work – writing and learning about the stories behind these cameras is a labor of love. Sometimes the best part is just showing up on the street with and Ensign or Graphic and having passers-by come up to you and ask about your camera. Then you get into a wonderful dialogue and are able to tell their stories. kahlil on Selecting A Vintage Camera II: Kodak Cameras.